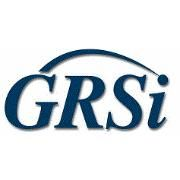 GRSi, a Top 5 Technical company in Maryland is actively looking for a DevOps Project Manager to join our growing Civilian Health IT Division. This position will be instrumental in providing leading edge DevOps CI/CD solutions to world renowned healthcare and research organizations. This position is based in Bethesda, MD. Responsible for leading cross functional teams to achieve project objectives, regularly report on status, and manage projects through the entire lifecycle. Manage scope, schedule, quality, and risks and issues. The DevOps Project Manager is responsible for managing several concurrent high visibility projects using agile methods in a fast-paced environment. Establish and maintain cooperative working relationships with a diverse group of staff members, stakeholders, and customers. Analyze project management needs and tailor industry best practices to suit environment. Work with stakeholders to define clear project objectives and requirements, agree on priorities, communicate progress updates and demonstrations, resolve issues and conflicts, and provide responsive change management. Work with cross-functional teams with diverse technical skill sets to support successful performance across operations and projects. Develop and maintain both programmatic and technical documentation. Participate in meetings; follow up on direction, action items, questions, documentation, etc. Enforce project roles and owners, communication processes, and status meeting schedule. Serve as a point of contact for customer leadership and corporate executive management. Manage the transformation to a DevOps/DevSecOps model within an Agile Project Management framework. Manage the integration of multiple siloed cross-functional teams into a DevOps/DevSecOps model. Manage the operationalization of the current Azure-hosted Continuous Integration/Continuous Delivery (CI/CD) pipeline as well as future on-premises or Cloud-hosted pipelines. 3+ years of hands-on Agile Project Manager/Scrum Master experience performing backlog management, work specification, Scrum facilitation, Kanban, lessons learned. 2+ years managing projects within a DevOps/DevSecOps model. Solid understanding of and demonstrated hands-on experience in using Agile Project Management tools such as Jira. Solid understanding of and demonstrated hands-on experience Microsoft Project, Visio, Office Suite and SharePoint. Solid understanding of DevOps/DevSecOps and CI/CD methodologies. Some hands-on experience and familiarity with Cloud and automation tools/technologies such as: Chef, InSpec, Jenkins, Subject7, ElectricFlow, BitBucket, Serena, Cucumber, Ansible, Artifactory, Maven, JMeter, Docker, Kubernetes, Netsparker, Nessus, SonarQube, Splunk, etc. Experience writing Project Charters and MS Project Plans. Ability to analyze problems with a flexible and creative approach, manage complex tasks and adapt to rapidly changing requirements. Excellent verbal and written communication skills, attention to detail, and strong customer-facing skills. Self-starter and quick learner with lots of initiative and ability to work independently. Must meet all requirements for obtaining and maintaining a Public Trust Clearance.